The Magician tarot has aligned his ego with the divine consciousness. The energy of the cosmos can therefore flow through the Magician freely, and he can direct it as he will. The infinity sign above the Magician’s head symbolizes eternal life because it merges the physical world with the spiritual world. The Magician tarot draws divine energy with the double-terminated wand, pointing with his free hand to the ground below in a gesture of blessing. Pure will is not arbitrary. That’s why the Magician is standing under a canopy of roses, symbolizing the outpouring of divine love. The roses and lilies below are the creative forces of romantic love, but also deity manifested and the institutions of faith. It’s the power of love that allows the Magician to control the physical world, represented by the symbols on the table before him. The Magician’s white Tau robe symbolizes the Great Work, his true spiritual purpose. The red over garment shows that this work is an act of love. Remember that red and white combined in the Magician tarot card also symbolize the merging of male and female energies, in other words: fertility. The Magician tarot is also a life giver. The purple belt, or cincture around his waist is in the form of a snake eating its own tail, another symbol of eternal life. The Magician’s will is so perfectly aligned with that of the deity that he doesn’t appear to have will of his own, or an ego. But rather than disappearing as a person, the Magician personality is now fully developed. If this sounds paradoxical, think about the human heart. Most of the time, you don’t notice it. That’s because it is functioning exactly as it is supposed to. Generally, you only feel it when you are excited, you have overextended yourself physically, or you are in poor health. It’s the same with your ego. It doesn’t disappear, no matter how enlightened you become; it’s your sense of who you are. You simply don’t notice it, because being in perfect harmony with the deity, you no longer keep tripping over it. The Magician tarot is a card symbolizing personal power and the ability to influence the material world, sometimes in uncanny ways. It is important to understand that this power is divine and that it must be used for sacred purposes. 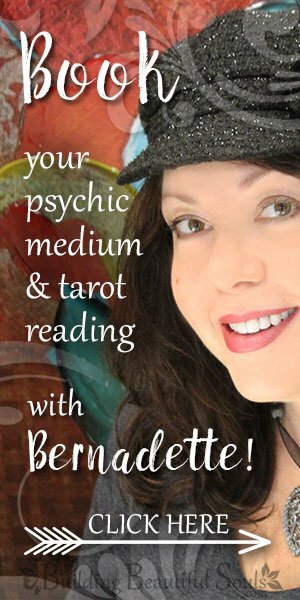 If the Magician tarot card represents you in a reading, you already know that. You understand that it is a divine gift and that you are not its source, but its channel. It flows through you like a flutist’s breath through a masterfully crafted instrument, creating a beautiful melody. Having shaped yourself into this instrument, you are the one making this melody possible. Astrologically, the Magician tarot is associated with Mercury, the Greco-Roman god who can travel effortlessly to the heavens, the physical world, and the nether regions of the universe. Like Mercury, you have explored every aspect of your existence. With the knowledge you received came understanding and most importantly, acceptance. Being perfectly at peace with who you are, you are also at peace with your purpose in this life. What you have been sent to accomplish here and what you want to do are now one and the same thing. As a result, you have stopped sabotaging yourself (consciously or subconsciously). This gives you the capacity to succeed at whatever you set out to do. This sense of self-mastery allows you to influence others without manipulating or coercing them. No, you won’t have that hypnotic stare you read about in those occult romances. You won’t need it, anyway. In other words, people are willing to follow you, because they know they can trust you. The power of truth is much more compelling than the most dazzling dime store novel glamour. The Magician card, reversed, suggests that you are not in touch with your power. The resulting discomfort tends to manifest itself in power tripping, feelings of envy and jealousy, and short-selling yourself. While such insecurity can arise at any stage of your development, it is especially dangerous at this stage. A fall from these heights will hurt a great deal. Remember that the power you have been given can always be taken away. And if you abuse it, that’s exactly what will happen. Effective managers, for example, know that it’s not a good idea to constantly tell their employees how easily they can be replaced, because they’ll start looking for other jobs. While an inefficient employee may need a stern talking to on occasion, fear is a poor motivator. If your ego is not aligned with your divine purpose, you can easily mistake a mentor or protector with a competitor – or even an enemy. The consequences of such a misunderstanding can be devastating. Remember that this is someone who is wiser and stronger than you. Even in the best case scenario, your insecurity ends up costing you important and needed opportunities. If you put him in a situation where he may perceive you as a nuisance or threat, you have just made an enemy you cannot defeat. When reversed, the Magician tarot card may also warn you that you about to sabotage yourself. Many people are afraid of success. Having been used to failure all their lives, the prospect of finally making it seems to belittle their past ordeals in their eyes. But that’s just cheating yourself out of the reward for all the work you have put in. Here, it is important to look within and outside yourself and carefully examine your own motivations as well as those of the people around you. 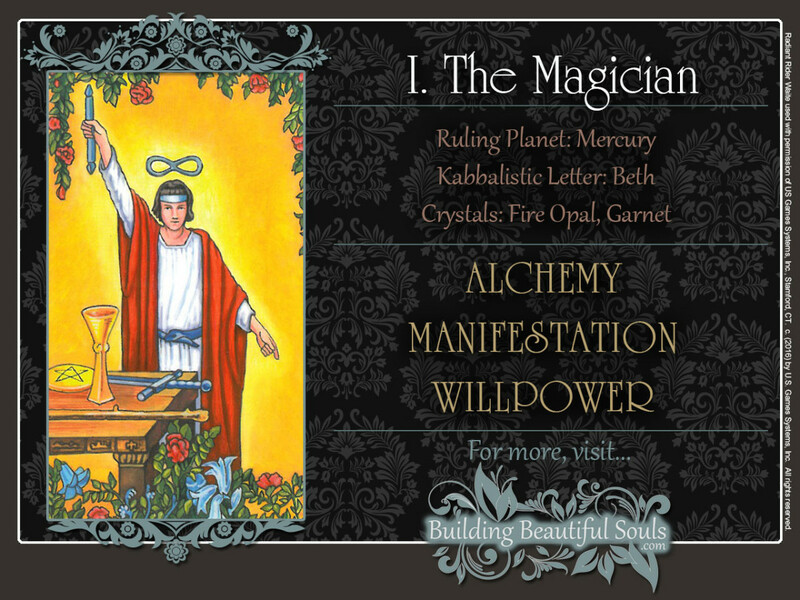 The Magician tarot card is the first Major Arcanum. In traditional Numerology the Number 1 is associated with the Sun, symbolizing humanity’s highest possible awareness of the divine source, while kabbalists associate this number with the divine spark itself. The Roman numeral “I” beautifully mirrors the symbolism of the Magician’s wand as a channel between the divine source and the material universe.